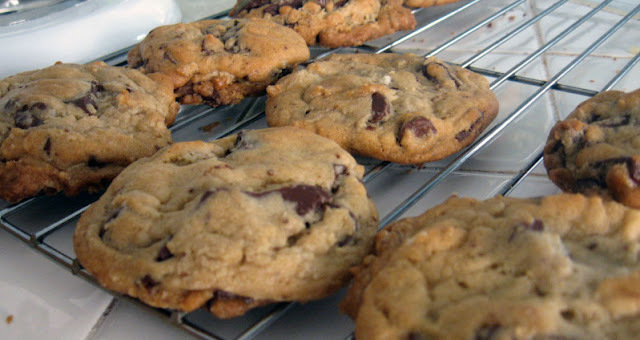 Now, I know I have a lot of chocolate chip cookie recipes on this here blog. That's only because they are my favorite type of cookie, and I'm always looking for that definitive recipe. I have some that I like quite a lot - the molasses ones, the ones that use cornstarch - but I've always wanted to try this one from Jacques Torres that uses the two types of flour. I'm always a bit dubious about recipes that get a little fancy schmancy, only because usually I like to just bake stuff that's easy. I mean, who doesn't? But I have to say, these are pretty great. It could also be the high quality chocolate chunks that I used that also made a difference, because yes, I splurged and bought some Ghiradelli baking bars and cut them up, along with some regular Nestle chocolate chips. I'd recommend the larger chunks too, if you can afford it. So. Good. From the New York Times, the famed Jacque Torres Chocolate Chip Cookies – are they worth the hype? Line your baking sheet with parchment paper (optional). 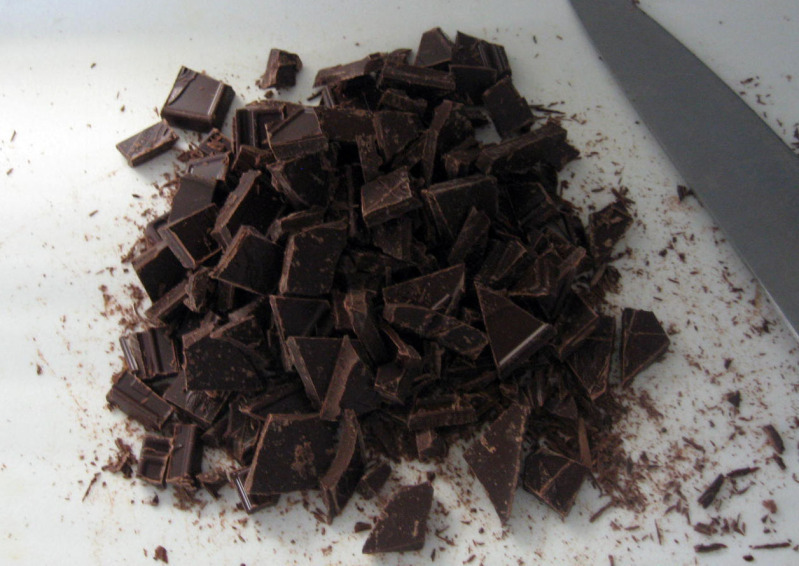 Chop up your chocolate into sizable chunks, depending on how you like it. 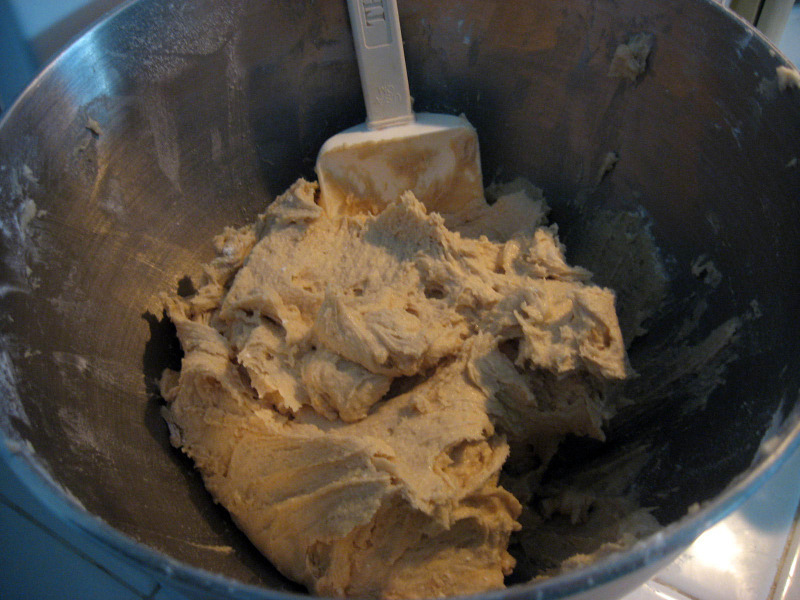 In a separate bowl, whisk together the flours, salt, baking powder, and soda. Set aside. 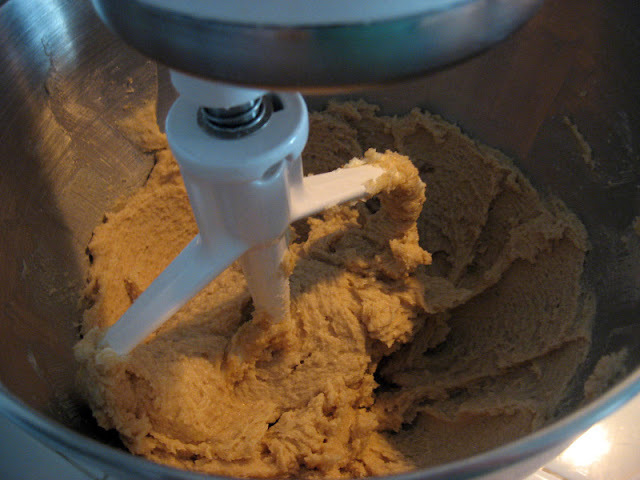 Cream the softened butter (room temperature optimal) with the sugars thoroughly, approximately two minutes. Beat in the eggs one at a time, scraping down the sides of the bowl in between. Mix in the vanilla. Mix in the flour mixture on low speed. Fold in the chocolate chunks. Cover and put in the fridge for a least a couple hours, or even longer. Preheat the oven to 350°F. 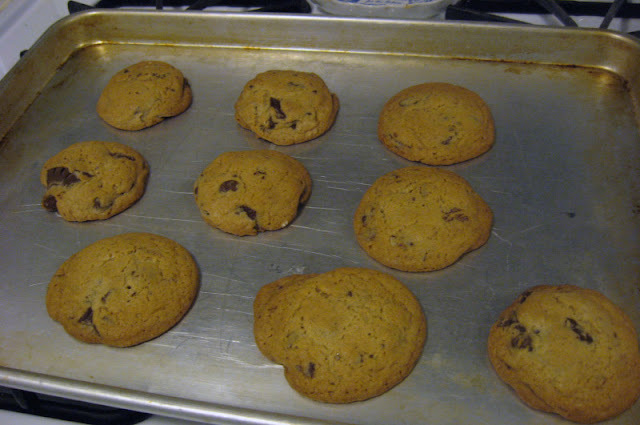 For tablespoon-sized cookies, bake for 13-15 minutes until tops are golden brown. Let rest on the baking sheet for a couple minutes before removing to a wire rack to cool completely. Chop up your chocolate. This is two bars of Ghiradelli chocolate, 1 in semi-sweet, one in bittersweet. I also used 2/3 cup semi-sweet chocolate chips in addition to this since that chocolate is muy expensive. 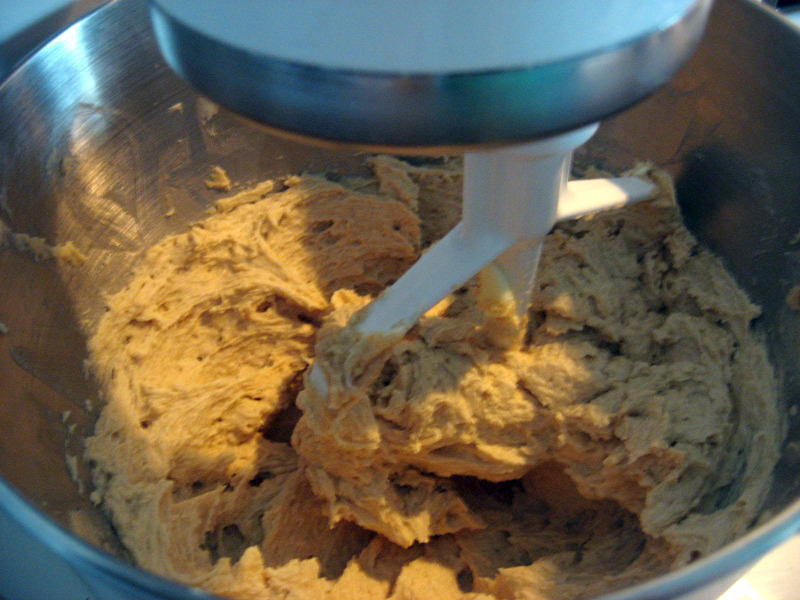 Butter and sugars are creamed together. After adding in the two eggs one at a time. With the vanilla and flour mixture added in. 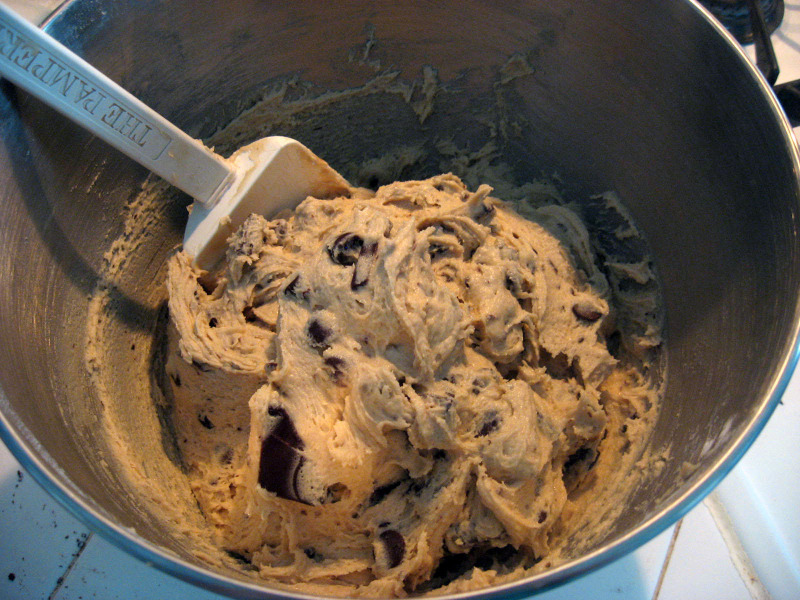 Delicious dough! After folding in the chocolate chunks and chips. As you can see, I did not use parchment paper, but it does make things easier on you to do so. I'm just a lazy bones. I baked mine for 14 minutes, which was perfection. After you let them cool on the pan for a couple minutes (it lets them solidify a bit), remove them to the wire rack to cool. Try not to drool, yeah? Yes! 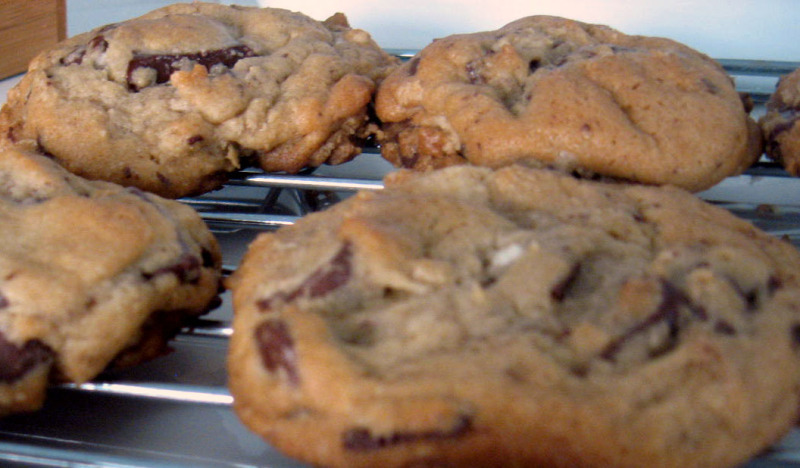 These are the best chocolate chip cookies in the world. In fact, after discovering these several years ago, I have flatly refused to make any other version. :) Yours look like they turned out beautifully. I've made Jacque's recipe also - made them into mini sized for wedding welcome hotel gift baskets. Your's really do look yummy! Sometime a little more work with the quality ingredients really is best! Love your photos!